If you think that the only Ford that deserves a supercharger strapped to the top of its engine is a Mustang, think again. This year you can buy yourself a supercharged Ford F-150 packing over 700 horsepower from Lebanon Ford Performance of Lebanon, Ohio. Sounds great, right? The best part is that it can cost as little as $39,995. Over 700 horsepower for under $40K sounds like a hell of a deal, and it isn’t the first time Lebanon Ford has offered such a performance value. Last year we reported about an 800 horsepower Ford Mustang GT from Lebanon, also costing just $40K. Now they’re back at it, but this time with Ford’s best-seller, the F-150. So the $39,995 price tag applies to a two-wheel-drive 2019 Ford F-150 XL with a regular cab, 6.5-foot bed, and the XL Sport Appearance package. Want four doors? The price will go up. Wan’t a nicer interior? Keep going. Hipp said that the performance shop at Lebanon will throw your choice of blower under the hood of any 5.0-liter-powered F-150 you buy or bring in. “I fully expect most people to go to a four-wheel-drive, or a crew cab,” said Hipp. Buyers will be able to choose from three different superchargers for their Ford F-150. A Roush R2650 blower that will produce 650 horsepower and 610 pound-feet of torque, a ProCharger Stage II with P1X head unit upgrade that will make 650 horsepower, and finally, a 2.9-liter Whipple supercharger that will turn 725 horsepower and 675 lb-ft. 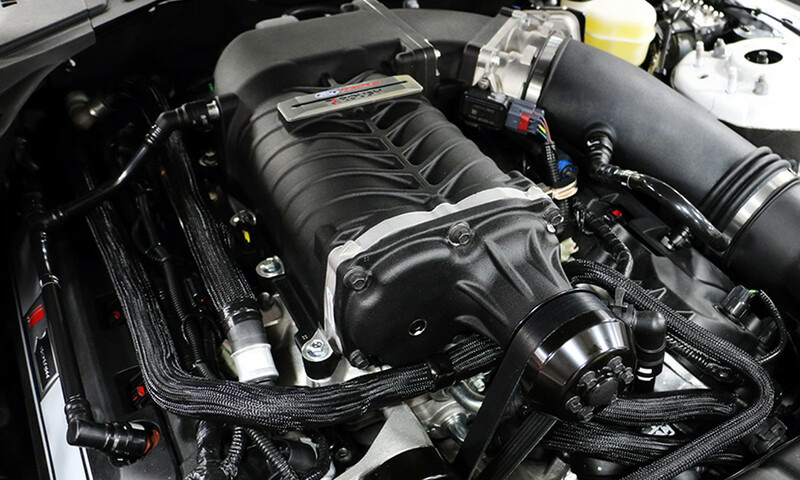 The Roush blower comes with 3 yr/36,000-mile warranty as standard, but you’ll have pay $995 more for a comparable warranty on the ProCharger or Whipple. Are you convinced? We’re just about ready to call Lebanon Ford for ourselves. And we think the base model barebones F-150 is the way to go. Less weight equals more burnouts. Sounds about right. Subscribe to Ford Authority for more Ford F-150 news.